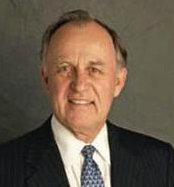 John L. McGoldrick, Chairman, (Princeton) is the retired Chairman of Zimmer Holdings, a world leader in orthopedic reconstructive products. He is Chairman of the Governor's Higher Education Council (NJ), and is Special Adviser to the International AIDS Vaccine Initiative (IAVI), a global non-profit seeking a vaccine to prevent HIV/AIDS. Previously, he was the Executive Vice President of Bristol-Myers Squibb Company, where he was Vice Chair of the Executive Committee, President of the Medical Devices Group, head of Corporate Strategy, and General Counsel. For 26 years he was a Director and Vice-Chair of the Board of NJTransit Corporation. He chaired AIA, the international consortium of UN agencies, private companies, and The World Bank to increase access to HIV treatments in the developing world, and was a leader in international efforts to reduce AIDS drug prices to accessible levels in Africa. Earlier in his career he was a Senior Partner and an Executive Committee Member at the law firm McCarter & English, and is a Member of the American Law Institute, the American College of Trial Lawyers, and the Association of General Counsel. He serves as director or trustee of various public and private boards, maintaining his interests in public health, education, transportation, law and Africa. He is a graduate of Harvard and the Harvard Law School, and has taught and written on various subjects. Robert E. Campbell (North Brunswick) is a retired Vice Chairman of the Board of Directors of Johnson & Johnson (J&J), where he was also Chairman of the Professional Sector Worldwide. He served as an Air Force officer for three years and during his J&J career held numerous positions in financial and general management. 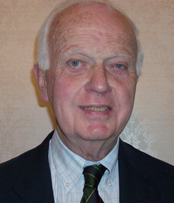 Mr. Campbell is past Chairman and Trustee Emeritus of the Board of Trustees of Fordham University and the Board of Trustees of The Robert Wood Johnson Foundation. 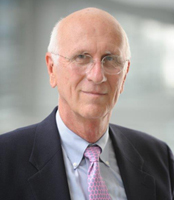 He is past Chairman of the Advisory Council of the Cancer Institute of New Jersey, a former member of the Advisory Council of the College of Science of the University of Notre Dame and an Overseer of The Robert Wood Johnson Medical School. He previously served on the Governor’s Higher Education Task Force and the UMDNJ Advisory Committee. A graduate of Fordham University, Mr. Campbell earned an MBA degree at Rutgers University. He is also the recipient of honorary doctorate degrees from Fordham University, the University of Medicine and Dentistry of New Jersey, and Thomas Edison State College. Patricia Nachtigal (Upper Montclair) is a retired member of the Board of Directors and Senior Vice President and General Counsel of Ingersoll-Rand plc, a global equipment manufacturer. She was also a member of its Executive Committee. 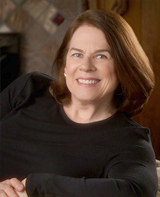 Ms. Nachtigal is a past Vice Chair and member of the Board of Governors of Rutgers, The State University of New Jersey. She also is a past Chair and member of the Rutgers University Board of Trustees and a past member of the Board of Overseers. She is currently a Rutgers Trustee Emerita. Ms. Nachtigal is a member of the Board of Trustees of the New Jersey Institute for Social Justice, an urban research and advocacy organization dedicated to the advancement of New Jersey’s urban areas and residents. She is also a member of the American Bar Association and the Association of the Bar of the City of New York. Ms. Nachtigal is a graduate of Montclair State University and holds a law degree from Rutgers School of Law-Newark and a Master of Laws degree from New York University School of Law. John B. Wefing (Montclair) is the Seton Hall University Law School Distinguished Professor of New Jersey Law and History. During his 45 years at Seton Hall he has taught numerous courses including courses dealing with the New Jersey Constitution and the New Jersey Court System. He has also written many law review articles and is the author of the “Life and Times of Richard J. Hughes: the Politics of Civility” which was chosen as a 2010 honor book by the New Jersey Council for the Humanities. 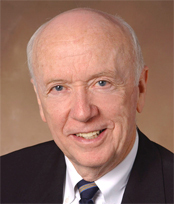 During his time at Seton Hall, he served as associate dean and acting dean. He has received many awards including the Young Lawyer of the Year from the New Jersey State Bar Association and the McQuaid medal presented for outstanding contributions to Seton Hall University as well as the Thomas Moore Medal. He was twice selected as Professor of the Year by the student body. He was recently inducted into the Hall of Fame of Mount Saint Dominic Academy for his work on its board. He is “of counsel” to the firm of Waters McPherson McNeil in Secaucus. He is a graduate of St. Peter’s Prep and College and he earned his law degree from Catholic University and his Masters in Law from New York University.